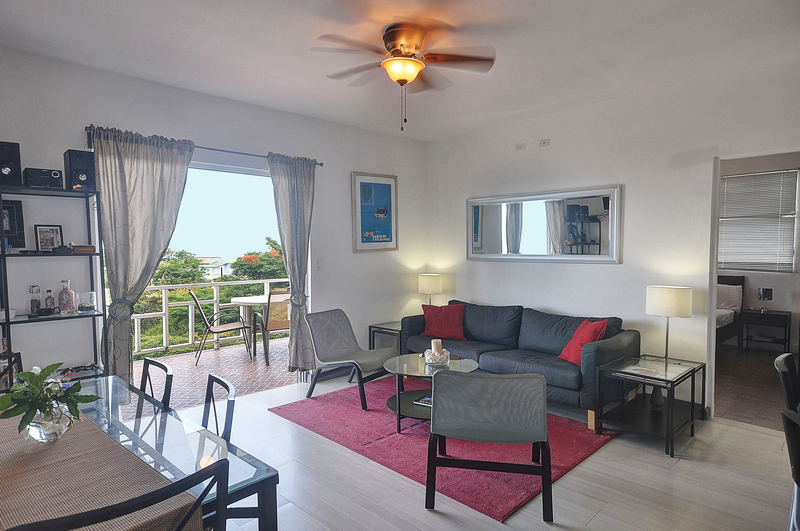 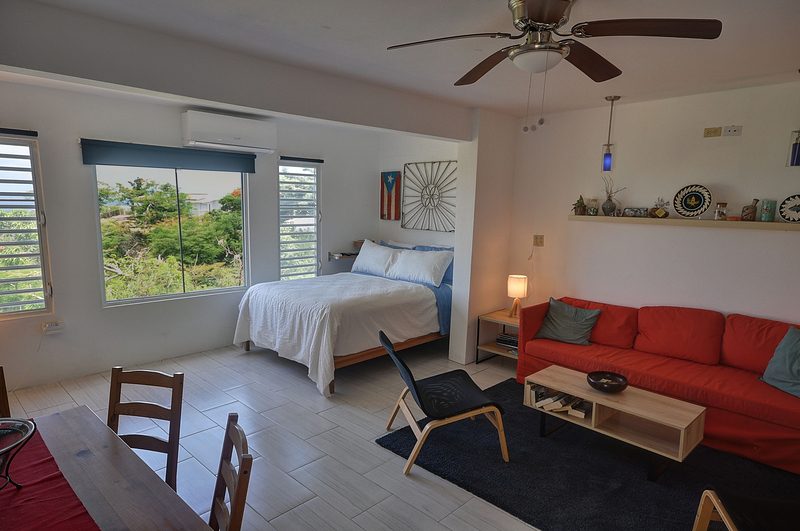 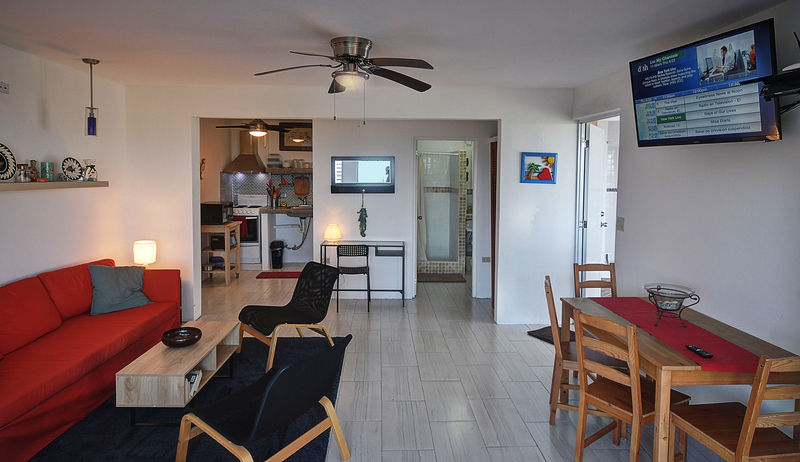 Vista Borinquen is a newer constructed home located in the ever popular and well-established neighborhood of Villa Borinquen. 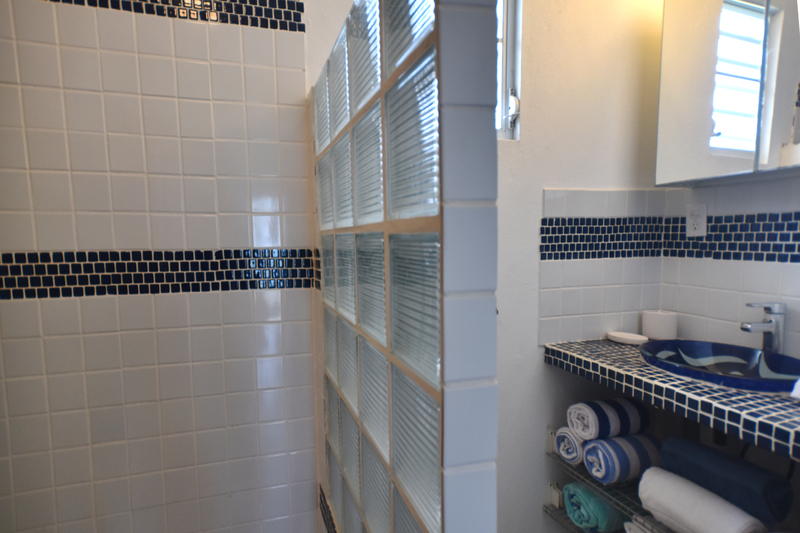 This one of a kind property is titled and ready for you to move in and add your touches or can continue as an income producer. 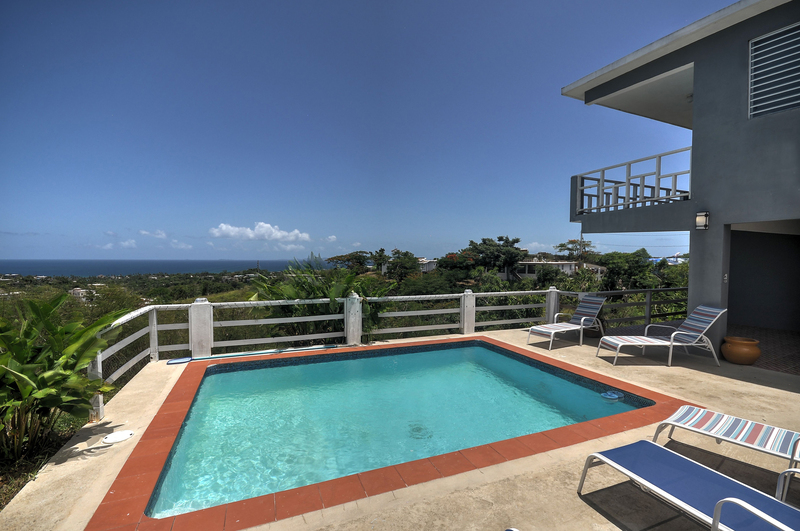 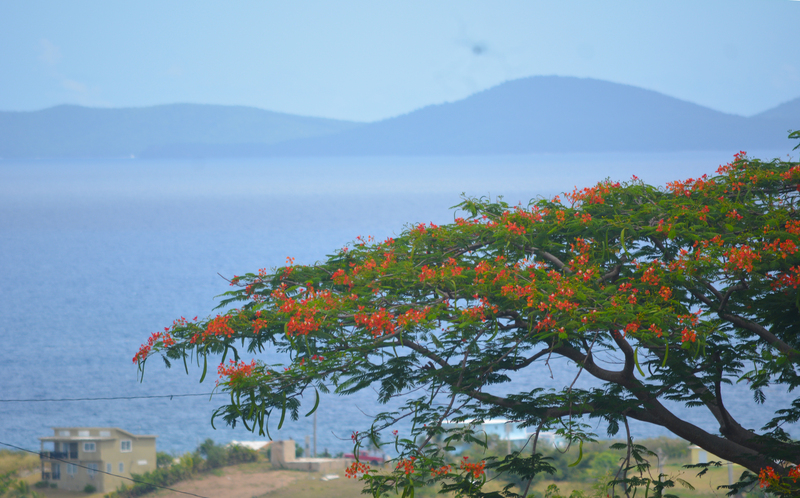 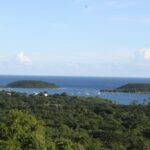 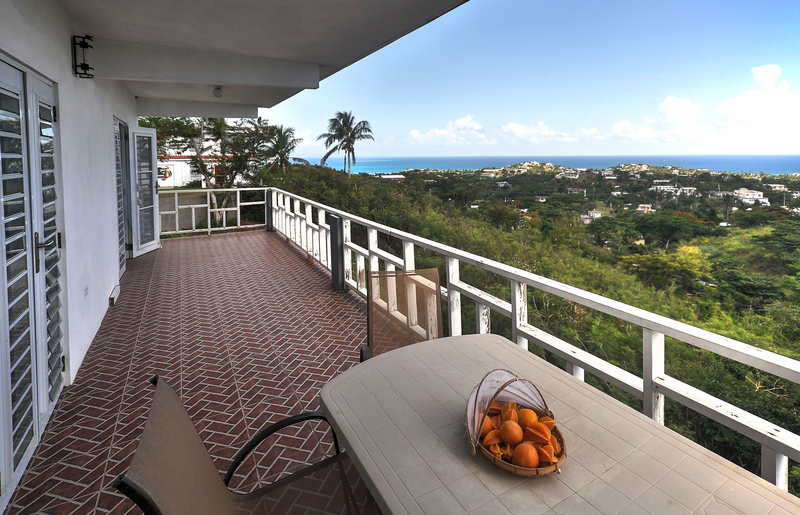 Turn key real estate on Vieques is rare and this home on about 1/2 acre titled lot with unobstructed Caribbean views is move-in ready. 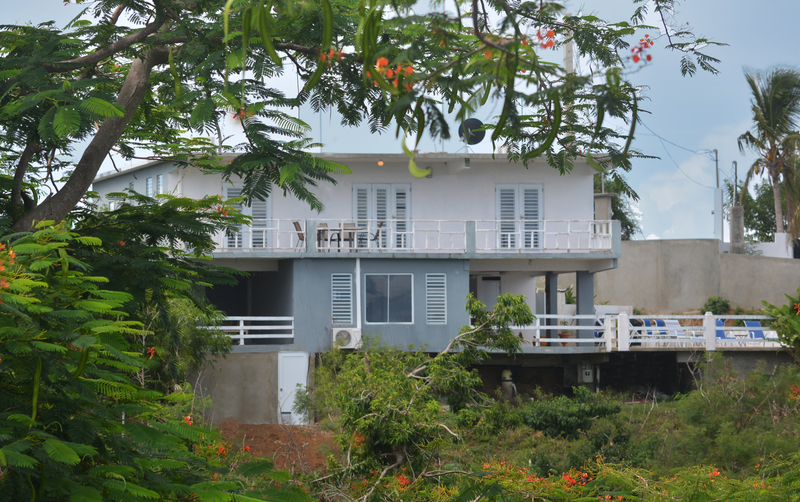 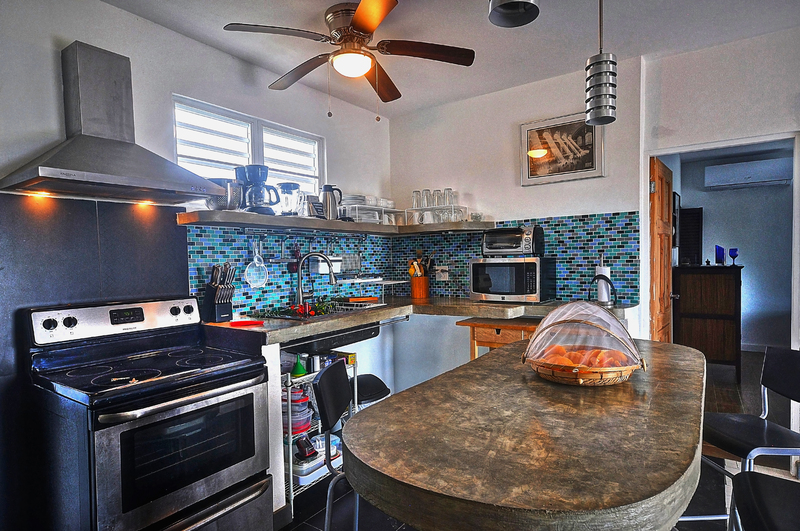 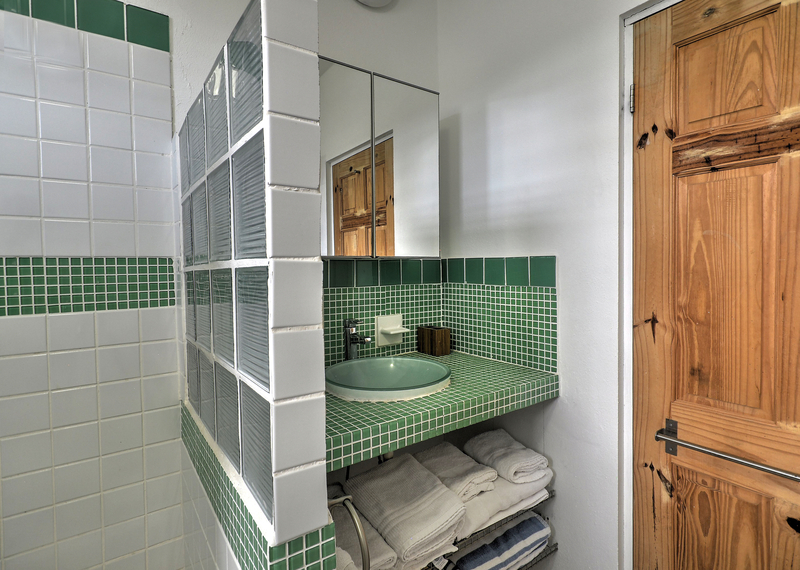 The owner of this house has built several homes on Vieques. 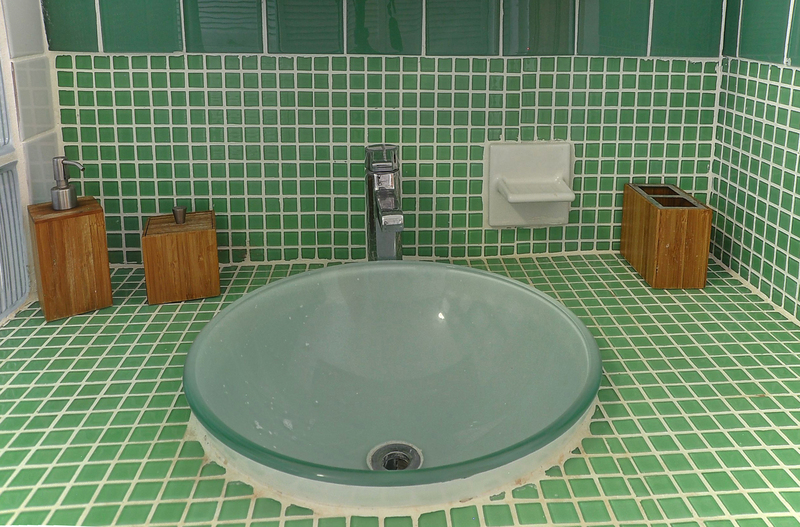 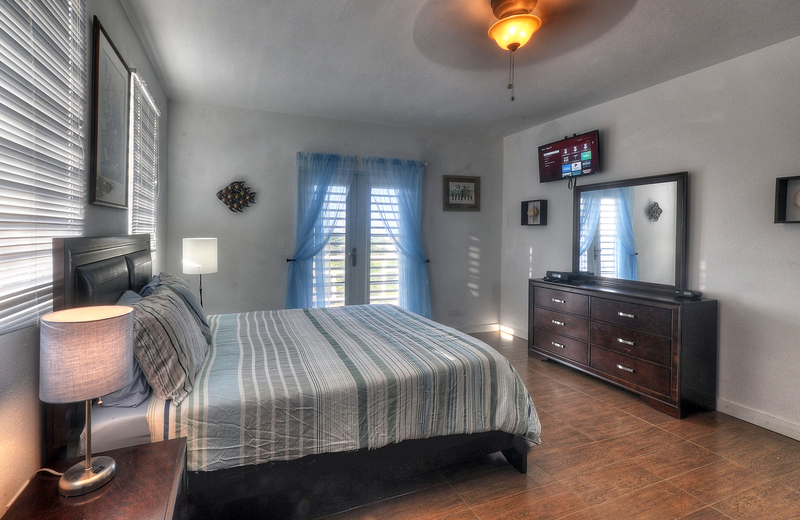 The house has a total of three bedrooms and four bathrooms including one bath that is poolside. 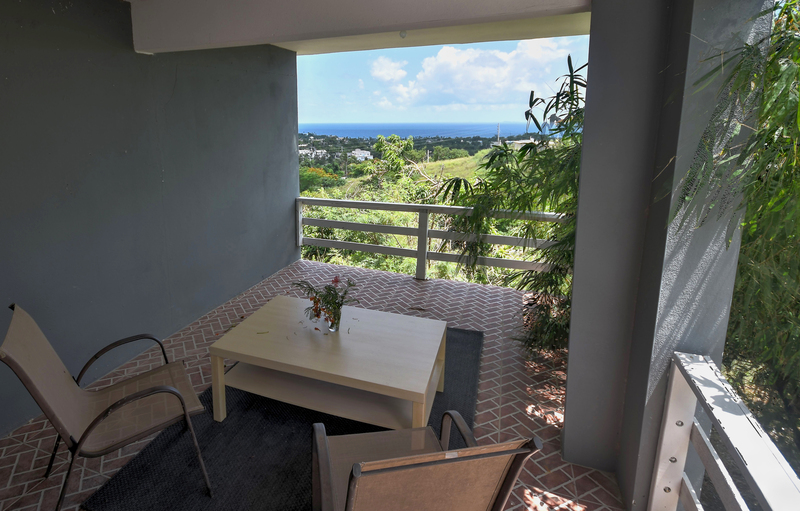 There are two units, one two bedrooms two bathrooms with very high ceilings and a pool side very large studio also with high ceilings. 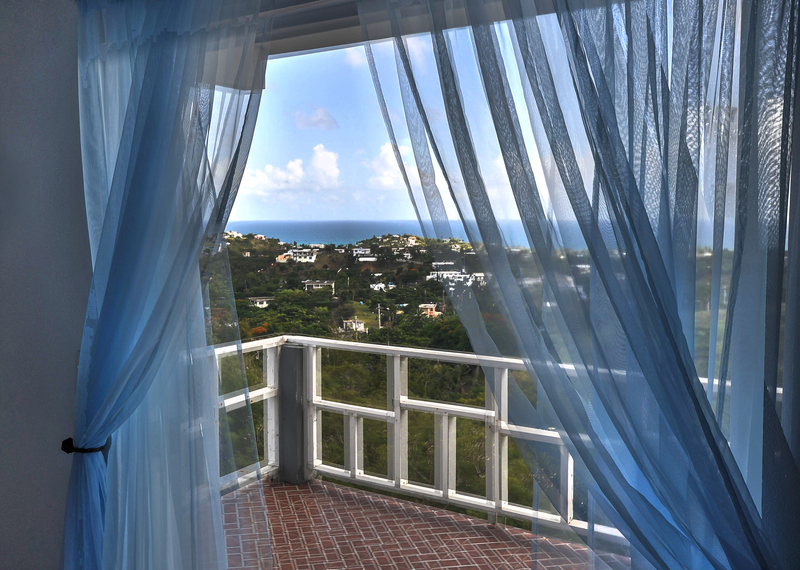 It is rare to have views from every room in the house but this one qualifies! 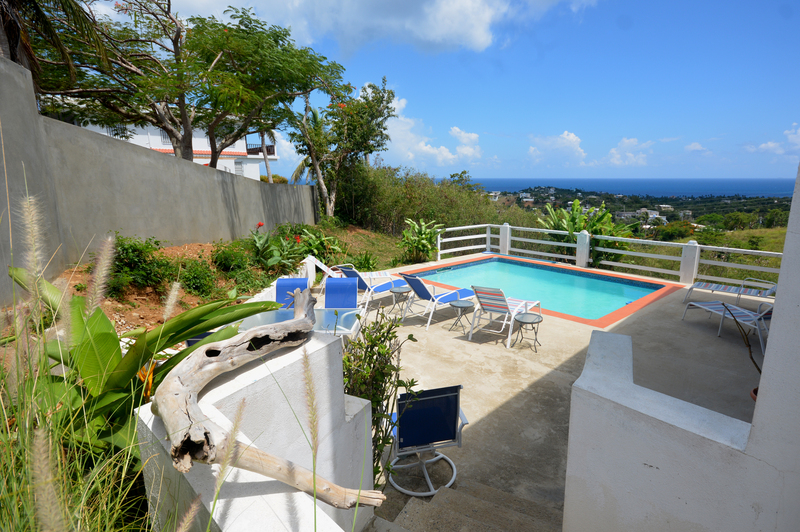 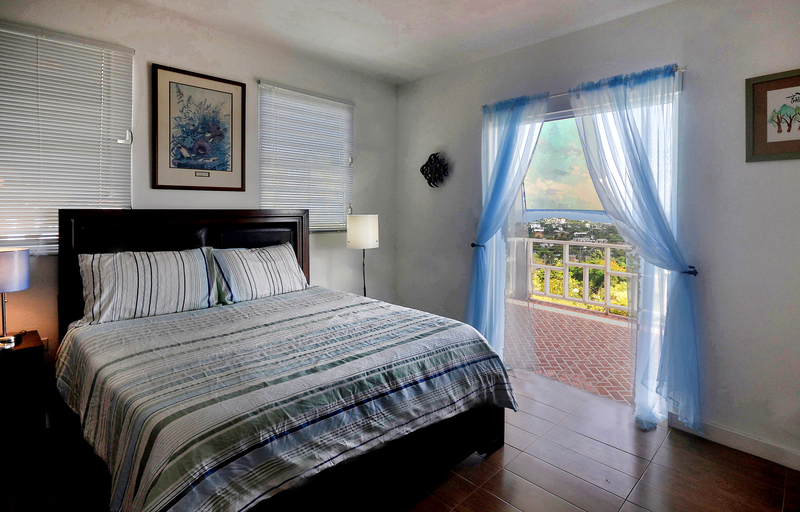 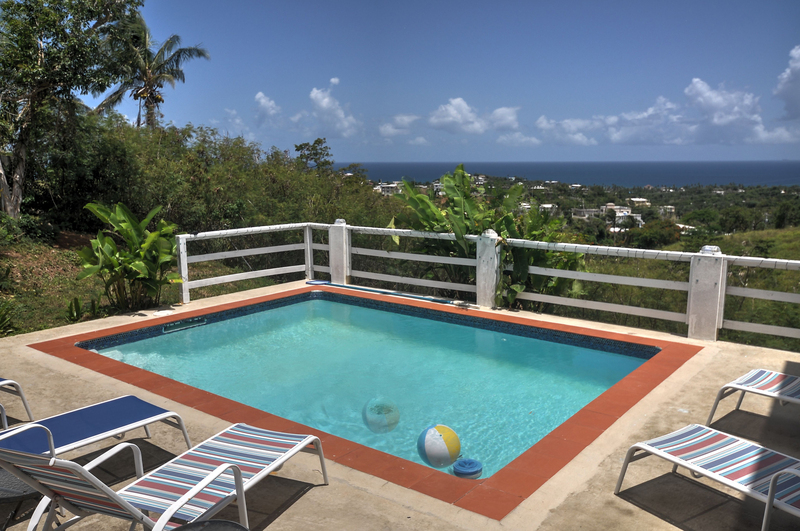 There is a wonderful tropical pool with amazing ocean views and plenty of sun deck. 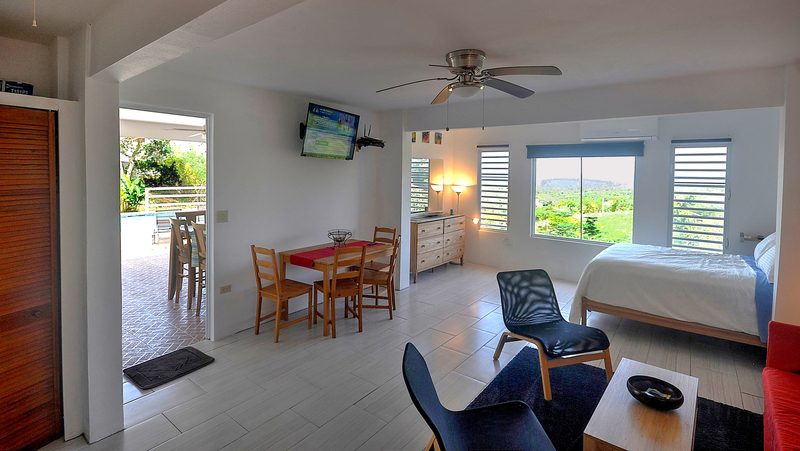 Additionally, there is a large out door covered lounge poolside which is perfect for setting up an out side living and dining room while being very protected from the environment! 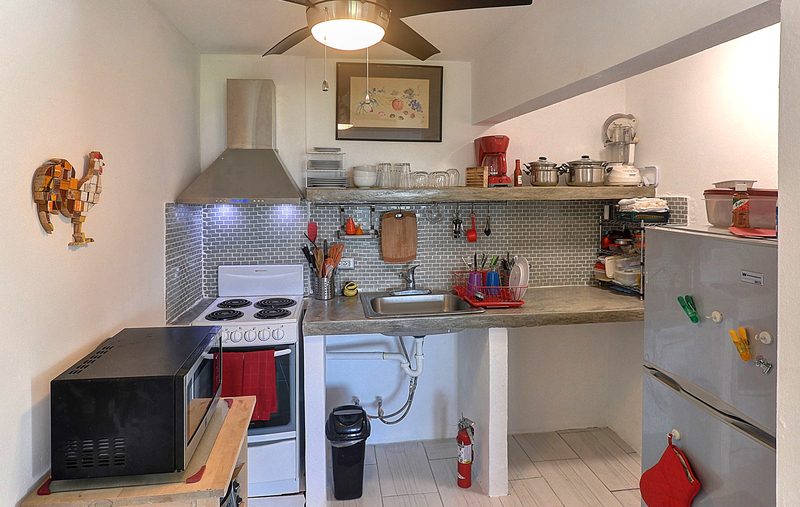 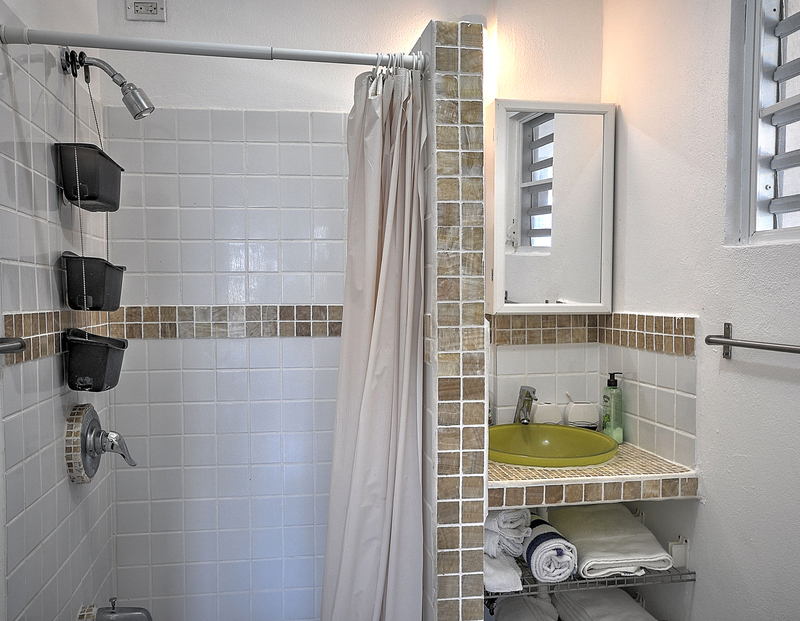 The two units are oriented so that they could be used completely separately and privately while at the same time the studio apartment can serve as a great guest area or teen get away. 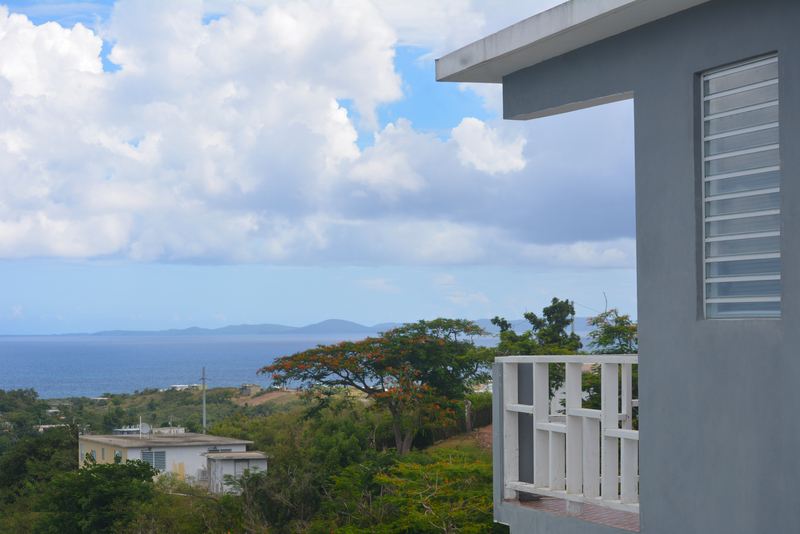 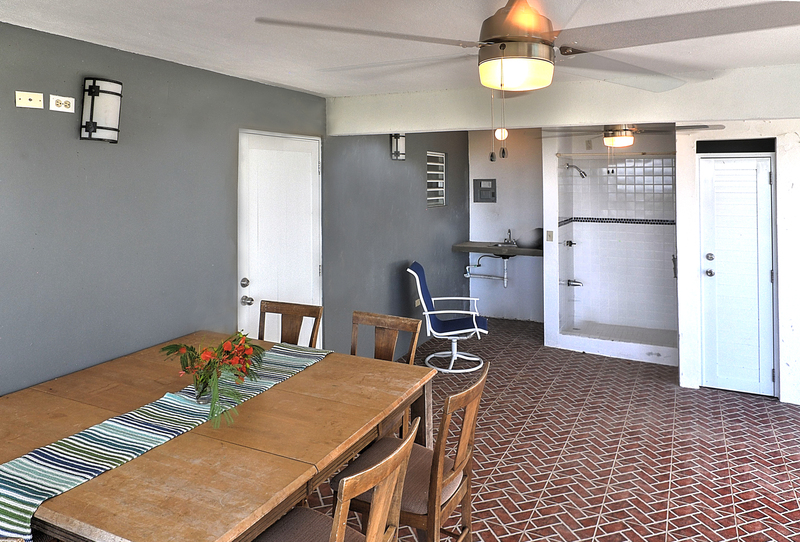 Villa Borinquen is a one of the largest neighborhoods on Vieques. 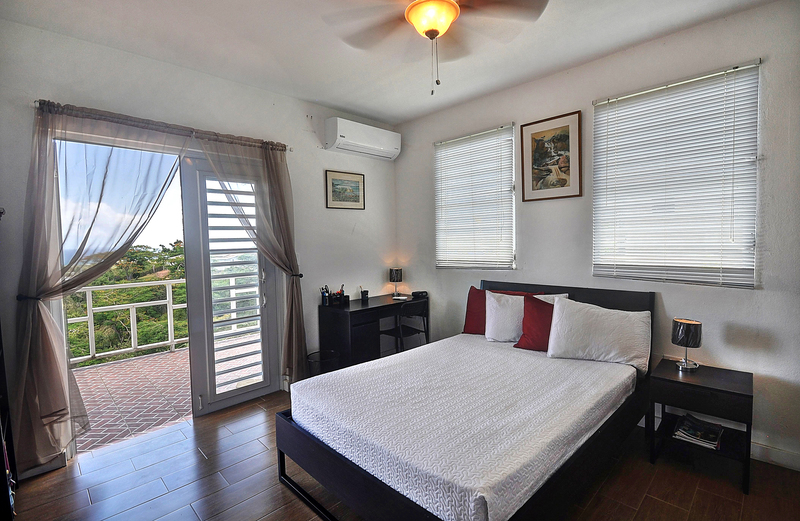 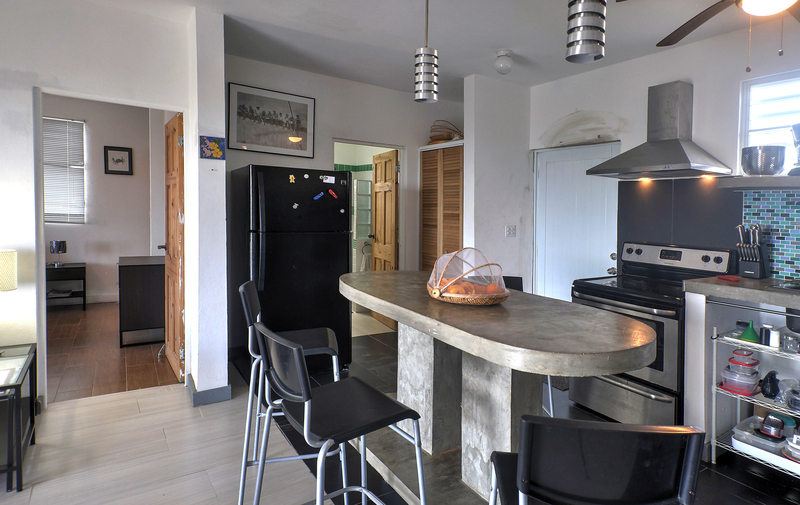 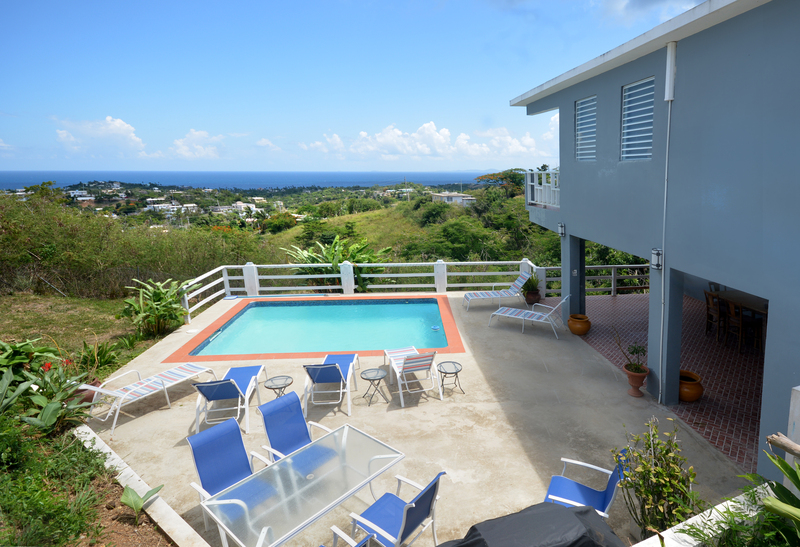 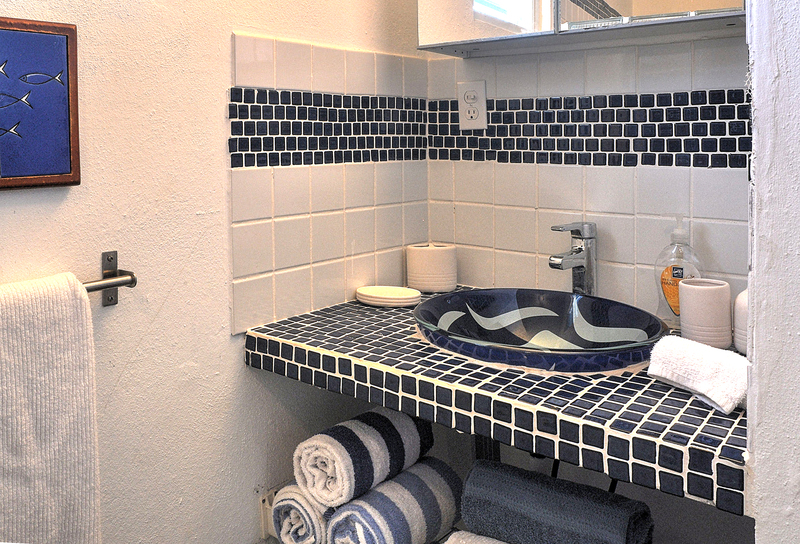 The house is very close to the “five corners” area and is home to other high end vacation rentals and second home owners. 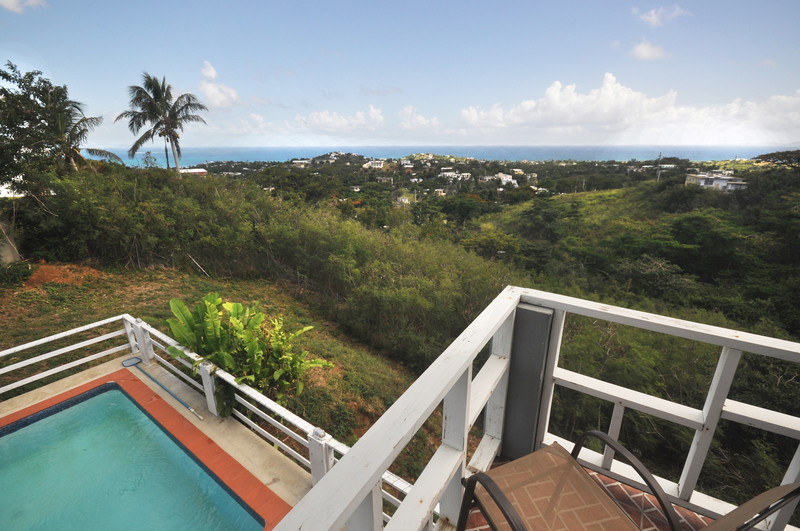 The house sits on a lot that slopes down hill creating a protected view to infinity. 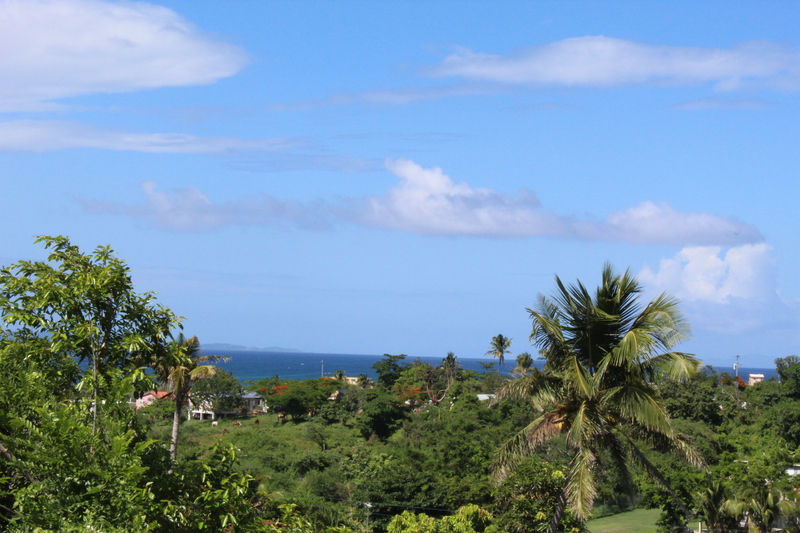 Vista Borinquen sits on a lot of approximately 1/2 of an acre and already has mature and producing mango and papaya trees. 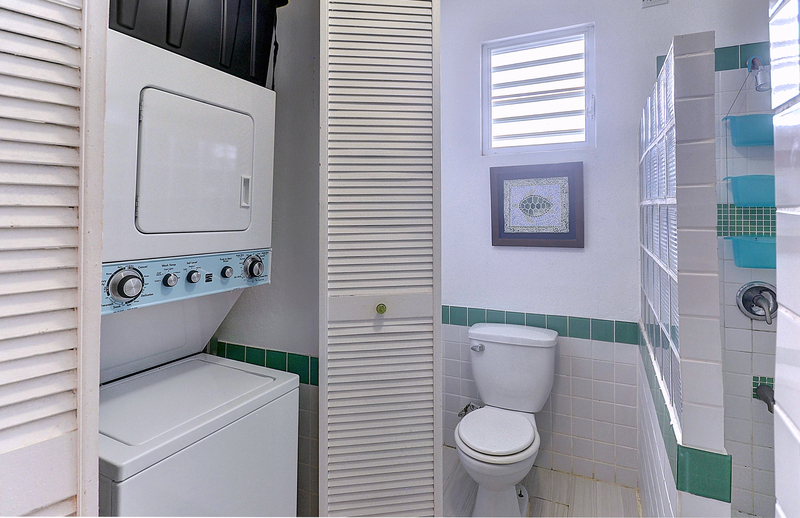 There is a garage with automatic opener and a great place for storing those essential island toys such as kayaks, paddle, boards and mountain bikes. 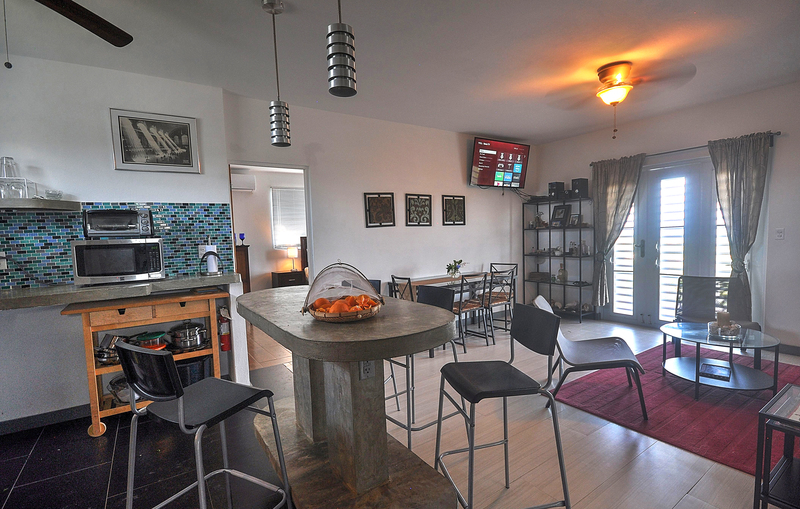 The house is sold furnished and move-in ready. 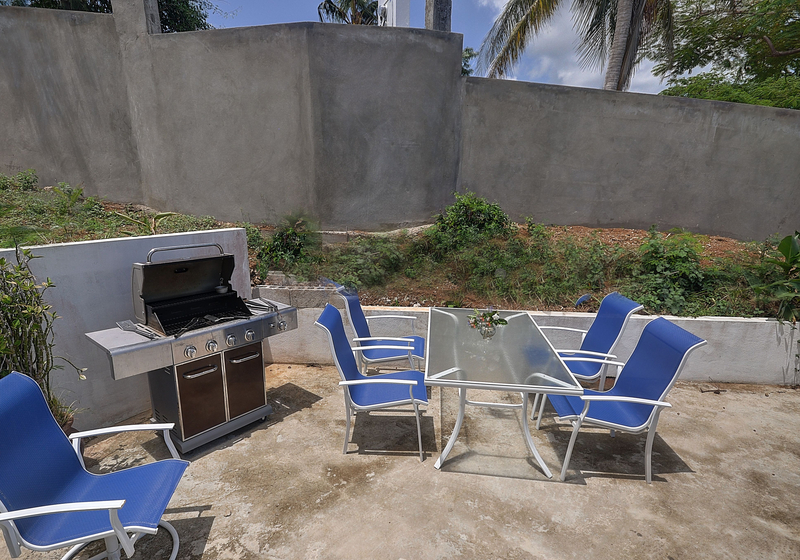 There is some landscaping to be done to personalize the property. 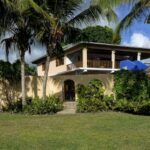 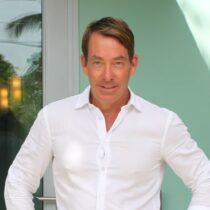 For your exclusive showing of this unique turn key property call Bravos Boyz Real Estate and Property Management today!